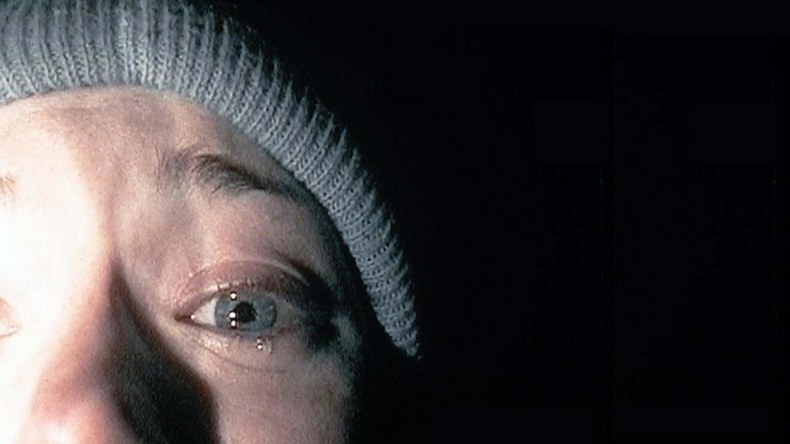 Shot within eight days in the woods of Seneca Creek State Park on an initial budget of $35,000, The Blair Witch Project would go on to earn nearly $250 million worldwide, becoming one of the most successful independent films of all time. Released in 1999, the film styled itself as an actual documentary cobbled together from footage mysteriously abandoned in the woods outside of a small Maryland town called Burkittsville. The film was proof positive that less can definitely be more. What’s basically three paid actors given obtuse directions to film each other screaming at the dark was edited together into a tense psychological thriller that felt like the movie analog of a blank canvas, leaving it up to audiences’ imaginations to paint in the horror. Helped along by a marketing campaign that never once admitted what we were seeing was just a movie, The Blair Witch Project felt raw, unrelenting, and real. It naturally became a standout in contrast to glossier Hollywood horror of the time like Wes Craven’s self-referential, self-indicting Scream movies. Seventeen years later and audiences have been buried under a glut of “found footage” horror. Indoctrinated to the nauseating jerks and twists of the sub-genre, the original Blair Witch Project seems quaint in comparison to its shaky cam descendants. We’ve seen ghosts (over and over) and zombies, watched a monster destroy New York, learned to fear the blind… Jesus, we’ve even had a found footage superhero movie. You might expect a direct sequel to The Blair Witch Project to feel late to the game. And you’d be so right. Championed by writer/director duo Simon Barrett and Adam Wingard, at the offset Blair Witch felt like it was in good genre hands. Their previous efforts,You’re Next (a strong twist on the home invasion film) and The Guest (a darkly fun, sharp thriller leagues better than it has any right to be), displayed the team’s penchant for chest tightening suspense and character driven horror. But Blair Witch never quite reaches a fever pitch. It’s a safer outing than it ought to be, especially so far removed from any expectations (who exactly was clamoring for anything Blair Witch after 2000?s Book of Shadows?). Blair Witch begins a decade and a half after Heather Donahue’s team of documentarians vanish in the Black Hills region. Her younger brother, James, is spurred to finally follow her trail once a new tape surfaces showing that Heather may be alive after all this time. Joined by best friend Peter (our bastion of humor in the film), Peter’s girlfriend Ashley, and burgeoning film student Lisa, our cast of millennials arm themselves with handheld cameras, head-mounted Go-Pros, and a spy drone as they journey into the woods. The first half hour focuses its entire attention on developing the dynamics between the group and, later, adding in Talia and Lane, Blair Witch obsessed locals that convince (i.e. 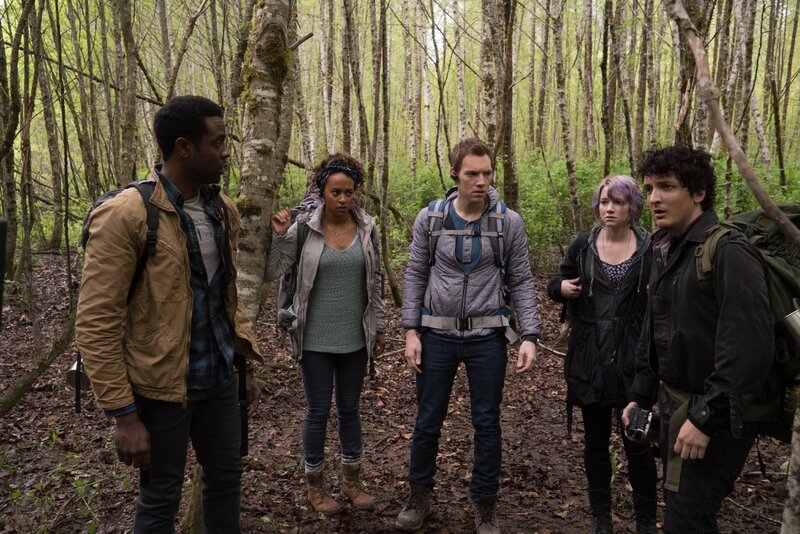 coerce) James’ team to let them serve as their guides through the woods. Character work is Wingard and Barrett’s bag through and through. The cast may be witch fodder but at least they’re likable witch fodder. Some of my favorite bits are in the setup: moments like Peter scoffing at every bit of Blair lore Lane spouts out, the unspoken attraction between Lisa and James or, in an early but thoughtful exchange, Peter’s drunken plea for Lisa not to capitalize off of James’ fruitless search for his assuredly dead sister. Things detour to spooksville soon after, and some of the eerie happenings do land. The team’s first night in the woods is filled with offscreen witchery the likes of footsteps and branches cracking. It’s in these first few encounters, or the shark-circling-its-prey stage, that tension boils to the right temperature. The witch is an unseen force — one that controls the forest and the very atmosphere surrounding it. She can send you in circles. She can force you to get lost. Early on, Talia and Lane disembark from the group, only to arrive hours later completely disheveled and near starved. They’ve been walking the forest for what they claim to be days, and not once has the sun come up. The film lays out several unnerving conceits like this, but instead of latching onto them and squeezing, it seems more preoccupied with making you jump, and often. Now, I didn’t say scaring you. No, more frequently we’re treated to characters inexplicably (and loudly) bumping into each other to score a cheap scare or having radios suddenly burst into a storm of static. The film’s mission to make you jolt sabotages itself, deflating tension before the real scare rears around the corner. It’s like gorging yourself on bread before the entree arrives. The film goes on like this for a while. A series of fake-outs punctuated by witch kills until our cast is eventually whittled down to the third-act survivors. At its worst, this sequel begins to mimic the beats of a traditional slasher flick instead of the cerebral horror it yanks its name from. Admittedly, the film does find some redemption in the ending stretch. The finale is a grueling showdown, for lack of a better term, that plays out more evenly than the rocky second act, and finally starts landing its blows. Unlike the original, we are fed a more tangible manifestation of the Blair Witch. It flies in the face of the whole “Leave It To Your Imagination” brand of horror, but our glimpses are as gracefully short as they are menacingly creepy. 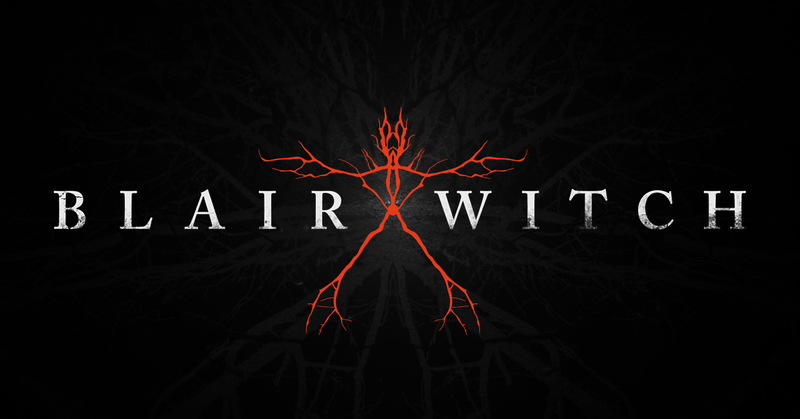 I found myself wishing Wingard and Barrett had stripped Blair Witch to its bare essentials – shaky cam, an unseen force, the oppressive fear of getting lost in the dark – and just gone nuts on the material. The film deals with time dissonance and morbid predestination, and it details some of the witch’s heinous backstory, but it never sinks its teeth into these themes. There’s a truly berserk, frightening movie to be mined here but the creative team opts to smother it under what’s now trite found footage fare. Blair Witch might have been exactly the sequel we needed in, say, 2005. It could have supplanted the original’s imitators with a stiff-chinned, if somewhat manufactured, successor. In 2016, though? We’re just left with a new imitator that hems closer to remake than sequel. 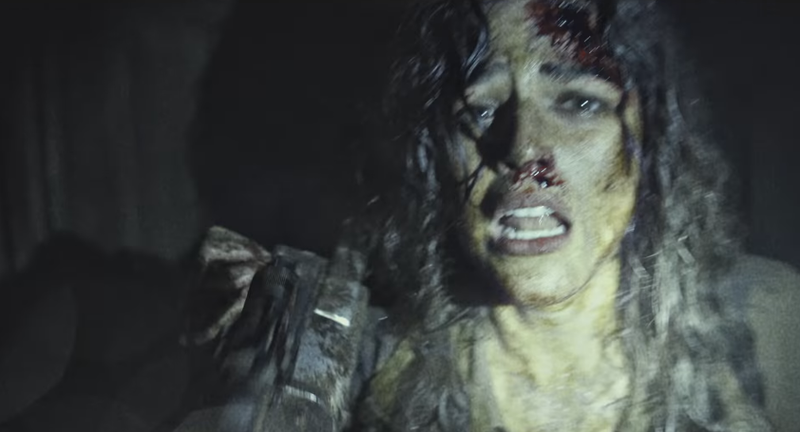 With a seventeen year gap between films, Blair Witch shouldn’t be a familiar stroll through the woods. It should have been bold enough to burn down the forest. Into the Badlands Available on DVD/BluRay 11/08!